When it comes to wardrobe staples, a denim jacket is something I always come back to. A good denim jacket lasts for years and is so versatile, I wear mine with everything from a casual every day look to the most glam of dresses with heels. 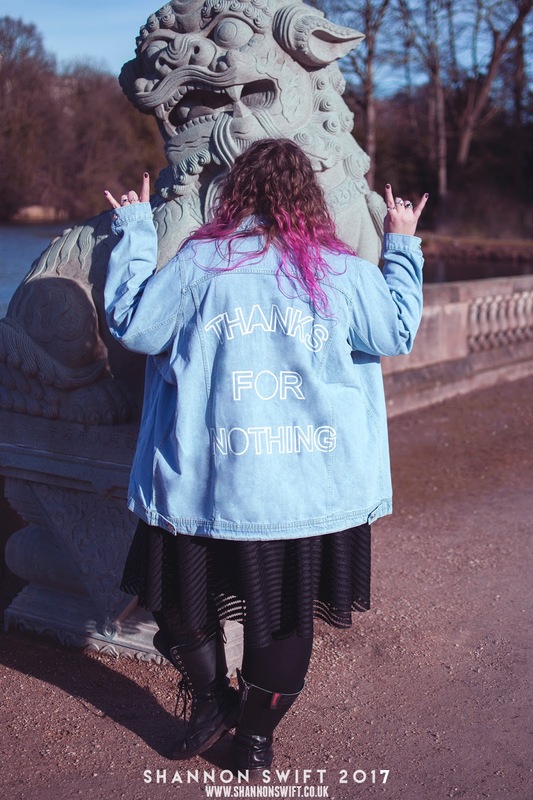 This River Island denim jacket* is one of the sassiest and most fun things I've ever worn. I love the slogan on the back, and I love the oversized fit. 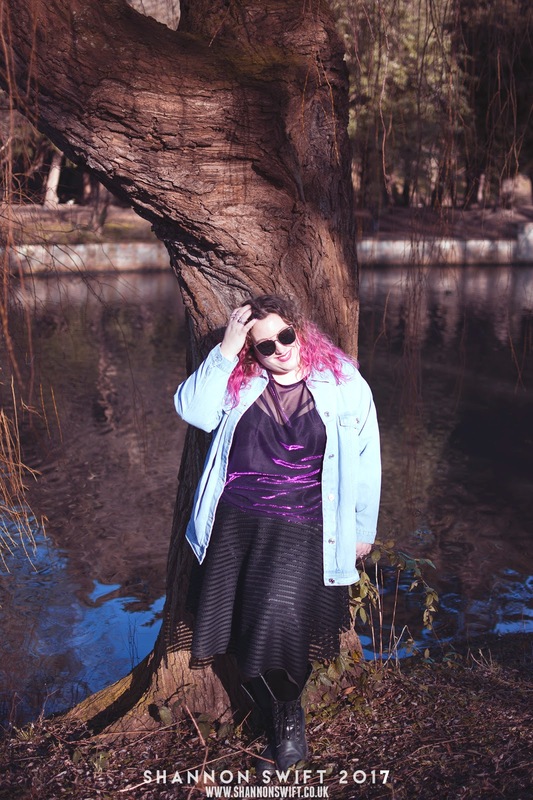 I hadn't worn any River Island before this photoshoot so sized up just in case, but it's actually very true to sizing so I didn't need to size up at all. The purple top I'm wearing here is also from RI, but has since sold out. I really like mixing casual slouchy items with something more glittery. This is a totally sheer top, so I popped a vest top and a harness bra underneath it for a daily look. The detailing on this jacket isn't a print, instead it is painted on, so while it costs £55 this sort of detail is justifiably more expensive. Pale denim is my absolute favourite wash and I could see myself wearing this for years. 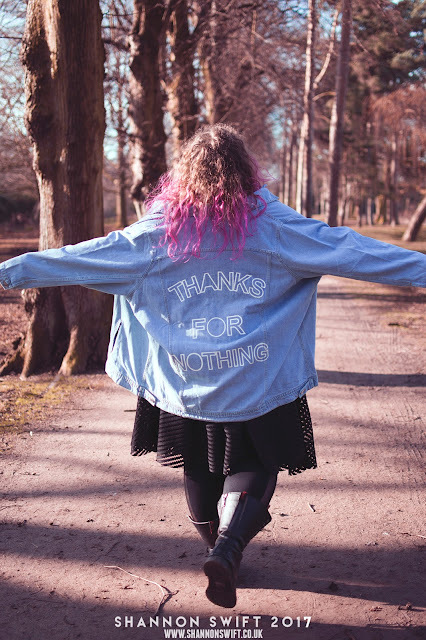 Sadly these pieces were only lent to me for the purposes of this photoshoot with the awesome Shannon Swift, but I really, really need to save up for this jacket! *denotes an item sent to me for the purposes of this photoshoot, in no way does this impact upon my opinions which are entirely my own. I actually don't have a denim jacket, i probably do need one. Love the setting for these photos.